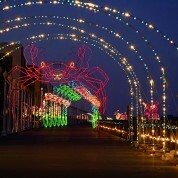 Escape to the beach for the Holiday Season for warm hospitality and to experience festive Holiday Lights at the Beach. To wrap up your Holiday Beach Escape, your package will include a unique Christmas ornament and handmade chocolates by Schakolad Factory. Your Holiday Escape won’t be complete without shopping at local’s favorite Lynnhaven Mall using special coupons provided.